Beverly Ann (Hazen) Lewis Donovan, 89, died peacefully on Monday, August 27, 2018. 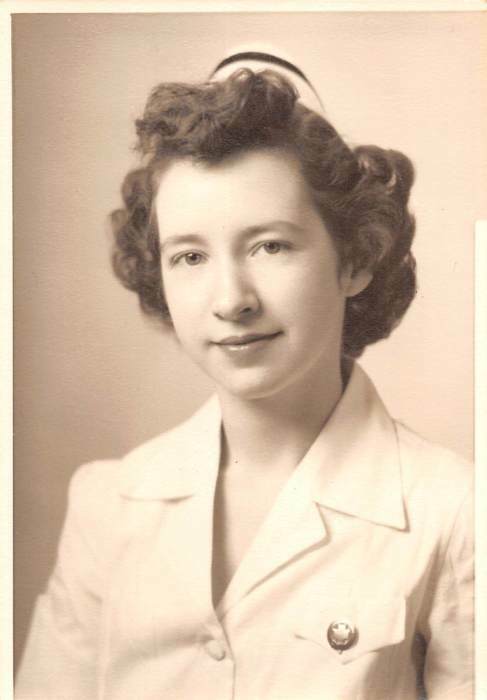 Born in Springfield to the late Harold and Anna (Sutherland) Hazen, she graduated from South Hadley High School and achieved her Registered Nursing Certificate from Springfield Hospital School of Nursing. She worked at Wesson Women’s Hospital and then as a Town of East Longmeadow School Nurse for 23 years. Beverly was a member of the Eastern Star. She was predeceased by her first husband Philip Lewis in 1964 and her second husband John Donovan in 2014. She will be sadly missed by her children; John Lewis of Lancaster, MA, David Lewis and his wife Diane of Beaufort, NC, Kenneth Lewis and his wife Sarah of Shirley, MA, John Donovan and his wife Mary of East Longmeadow, Nancy Gooding and her husband James of Easton, MD and Paul Donovan of Ashland, MA, brother William Hazen and his wife Elinor of Belchertown, 15 grandchildren, 17 great grandchildren as well as several nieces and nephews. In addition to her husbands, she was also predeceased by her brother Harold Hazen. A Memorial Service will be held on Thursday, Sept. 6th at 11:00 am at Wilbraham Funeral Home, 2551 Boston Rd., Wilbraham. Visitation will precede the Service from 10 – 11:00 am. Burial will be private at the convenience of the family. In lieu of flowers memorial contributions may be made to Rose Monahan Hospice, 10 Judith Rd., Worcester, MA 01602, or Shriners Hospital for Children, 516 Carew St., Springfield, MA 01104.